Finally, you will set up your basic check and notification settings as you would with any other wizard. That’s it, a very simple wizard to set up for the valuable information you will reap! This wizard comes prepackaged with Nagios XI 2014. 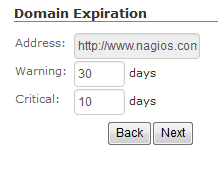 If you would like to try out the Domain Expiration Wizard and see the latest version of Nagios XI 2014 in action you can download a fully functional Free 60 Day Trial. 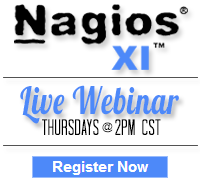 Don’t forget, Nagios World Conference 2014 is fast approaching! Register today and save $100 on your conference pass!